The Partagas Petit Coronas Especiales is a short and medium delicacy, of Mareva format, 42 ring gauge, 5.2” (132mm) long and comes in a box of 25 cigars. What used to be a machine made cigar until 2002 (slightly bigger in diameter), is now fully hand-rolled and it comes in between the Mille Fleur and the Petit Corona in term of classification. It packs lots of strength and flavor is relative short smoke (approx. 45 mins). There are the vigorous typical Partagas flavors, with lots of cedar, earth, salt, black coffee and some creamy notes as well. There is for sure lots of spice from pepper and cinnamon. Overall the cigar is a solid medium, which would pair beautifully with a smoky whiskey. And it can get even better after 2 or 3 years of aging where the complexity of the Petit Corona Especiales can express itself fully. 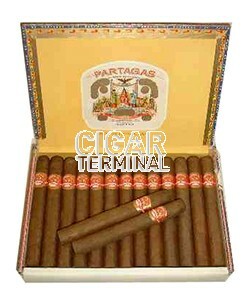 The Partagas Petit Coronas Especiales is a very good option for a strong cigar and. Goes perfectly along with dark coffee or after a nice meal. •	Complex cigar, with strong tobacco, cedar, leather and coffee flavors. •	A great amount of spice abut also a nice sweetness of vanilla and caramel. 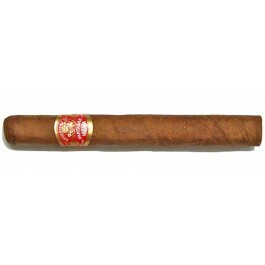 A great Partagas, medium-to-full body, that has great potential for ageing. The cigar is looking magnificent. It has a slight box press, the wrapper is of dark brown color with a nice oily sheen. It is moderately veiny, and it is very well rolled. The cap is beautifully applied, it is well filled, and pretty firm between the fingers. The wrapper smells of hay, and some oil, typical of Partagas. The cigar cuts easily, and the first cold draw is perfect and gives lots of wood, hay, salty leather and spices. Once lit up, lots of strong cedar comes to the palate, mixed with some floral notes. The draw remains flawless, letting just enough resistance. It produces a good amount of smoke all along. The first third of the cigar opens up with full flavored tobacco and lots of cedar. There are also lots salty earth and leather, a good amount of pepper spiciness on the nose. There is also some caramel that brings hints of sweetness. Overall, the first third is in the lower medium range. The burn line is sharp and the ashes build up for a good inch long. The ash is quite flaky and has a beautiful dark grey color. In the middle third, the strength is picking up, the Petit Coronas Especiales is now revealing its true self. The dominant flavors are still of tobacco, cedar, leather and earth. However, the sweet caramel is gaining in importance, joined by hints of spicy vanilla. The pepper is still around. Overall, the middle of the cigar is in the solid medium range. In the final third, the dominant flavors are similar to the previous third. There are still lots of complexity, with smooth aromas of coffee, vanilla, toast and caramel. The pepper is still there on the lips. The body of the cigar is still in the medium to full range. In summary, it is a great cigar, full of flavors and power. Every Habanos aficionado should have at least one in his humidor.